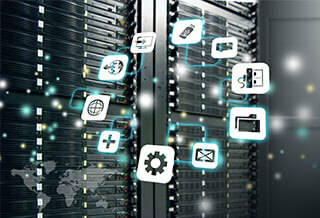 Get reliable web hosting service for your website. Simple interface powered by industry leading cpanel. Ideal for all sites including WordPress, Joomla, Drupal and other CMSs. Officially my preferred Hosting Partner. Powered by industry-standard cPanel control panels, free phone, live-chat or online ticket system and 99.9% uptime and money-back guarantees. Curious to see the cPanel interface? View a cPanel demo. Please note! 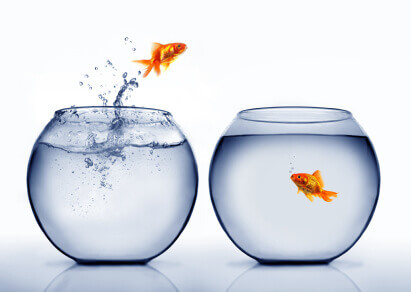 We offer a free website transfer service within your first 30 days of signing up. Request your free website transfer by submitting a support ticket. Transfer your hosting account with no downtime. Easily transfer your hosting account from another hosting provider to us in 7 steps. Begin the hosting transfer process by ordering a hosting account from Angel & Walt Hosting. Once your hosting account has been setup and activated you will be sent your account login details. You are now ready to proceed to Step 2. Login to your old hosting account and navigate to ‘Backups’ under the Files panel. Click ‘Download or Generate a Full Website Backup’ under Full Backup. This will contain all your website files, databases and email accounts (this can take a while depending on how big your files are). You have the option to receive an email once your full backup is complete. Download your backup file to a folder on your computer when the backup process has completed. Login to your new hosting account at Angel & Walt Hosting by going to mydomain/cpanel (Use your actual domain name e.g. www.example.com/cpanel). Use the username and password you received when you signed up. Go to ‘Backups’ and select the full-site backup file that was downloaded from the old web hosting company to begin the upload process. After the file is completely uploaded, the webpage will refresh and file-specific details will be displayed on a line-by-line basis as each file is moved into place. When this second page stops loading, the process is complete. Locate the browser’s “back” button to return to the previous page and begin the database restoration process in pretty much the same fashion. 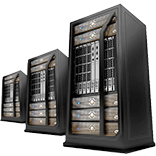 For websites that contain databases, you will need to restore your databases. The database backup files you have uploaded do not contain information about the usernames, passwords, and permissions for each MySQL database. This information will need to be entered within the MySQL Databases interface within cPanel. The prefix assigned to each database within cPanel need to cleared of discrepancies, (e.g. “angelwalt_wordpress” vs “aw_wordpress”), the prefixes will need to be changed in the configuration file of each software application which connects to that database. Add all of the relevant database users, passwords, and permissions, and then make any necessary edits to system files via FTP using the website’s IP address. You will need to setup your email accounts that you had at your old host to ensure you don’t miss any important emails. so, just uploading the etc and mail folder should recreate all the email accounts. Confirm a successful restoration by checking under ‘Email Accounts’. Before taking this step please ensure that your website is working properly. Preview your website using the server’s IP address that you received in your hosting welcome email you received when you signed up. Once you are satisfied that everything is in order you can now proceed change your DNS. You can now proceed to point your domain’s nameservers to our nameservers. This is pretty simple if you personally registered your domain. If your old host registered your domain then you can ask them to change the nameservers for you. Nameserver changes usually take between 24 to 48 hours to propagate across the whole internet. During this time your website will load from both your old hosting account and your new hosting account depending on which location you are accessing it from. We recommend waiting at least 3 days to be sure that everything is working ok. If you are satisfied then you can proceed and inform your old host to cancel your account.